During a post-COP24 stock-take in Brussels on Tuesday (22 January), EU climate Commissioner Miguel Arias Cañete and President of the COP Michał Kurtyka discussed how the Katowice summit went and if it had achieved its objectives. 2015’s Paris Agreement will come into force in 2020, so Katowice was billed as the last chance for the 195 signatories to agree on the all-important rules needed to ensure transparency and reporting. That urgency was reflected by the fact that COP24 kicked off a day early and wrapped up a day late, in order to give negotiators extra time to find an agreement. “A successful outcome was not guaranteed but we achieved it,” said Cañete. 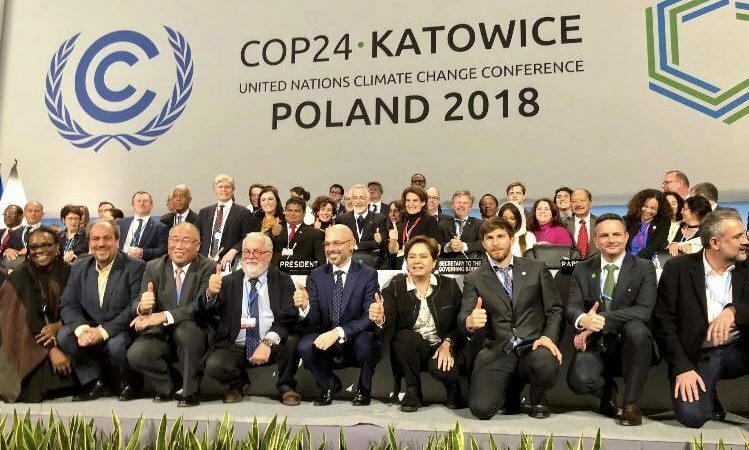 Three years and three days after the Paris Agreement was adopted, the 197 signatory countries gathered in Katowice, Poland, agreed Saturday (15 December) on a rulebook for its implementation but failed to raise their ambition to keep global warming “well below 2°C”. 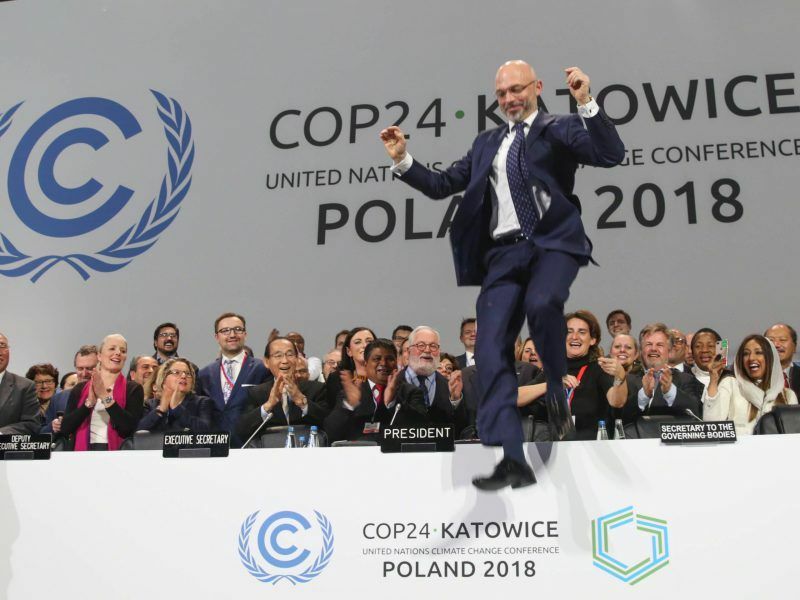 The EU’s climate chief and Kurtyka admitted that at the mid-point of the summit “the smiles were not on our faces”, the latter revealing that there was a point when he feared there would be no agreement. The Polish State-Secretary for Energy said during the event that he was only “instrumental in realising your [Cañete’s] project” and that the “Katowice rulebook” is in fact the Spanish Commissioner’s “baby”. But one aspect of the rulebook is still pending, as a group of countries led by Brazil would not sign off on guidelines on carbon markets and the issue has been deferred until COP25. That summit has also been delayed a month, after Brazil decided to pull out of hosting the annual meeting. The main bone of contention was on basic accounting rules that would prevent double counting of emission reductions by the countries that generate and offset them. 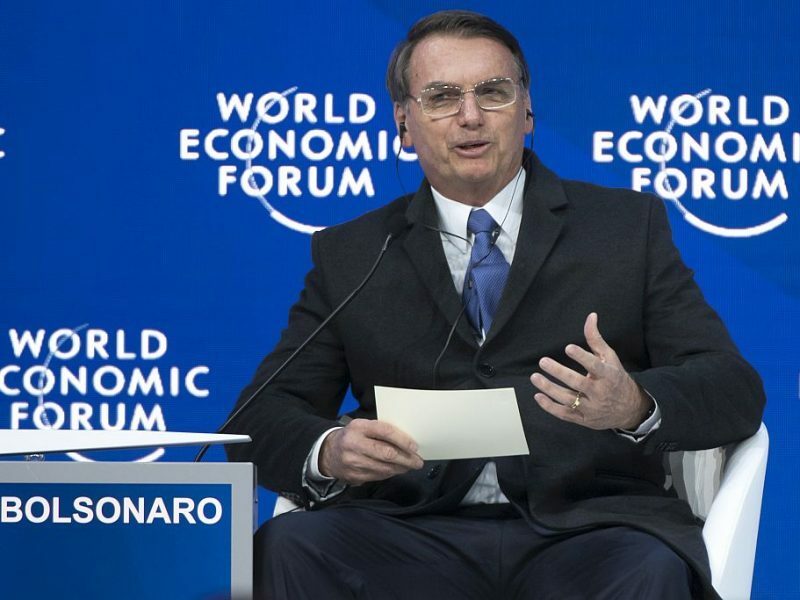 Less regulation and lower taxation rank at the top of their respective political agendas, Brazil’s President Jair Bolsonaro and US Secretary of State Michael Pompeo successively told participants at the World Economic Forum annual meeting in Davos (Switzerland) on Tuesday (22 January). 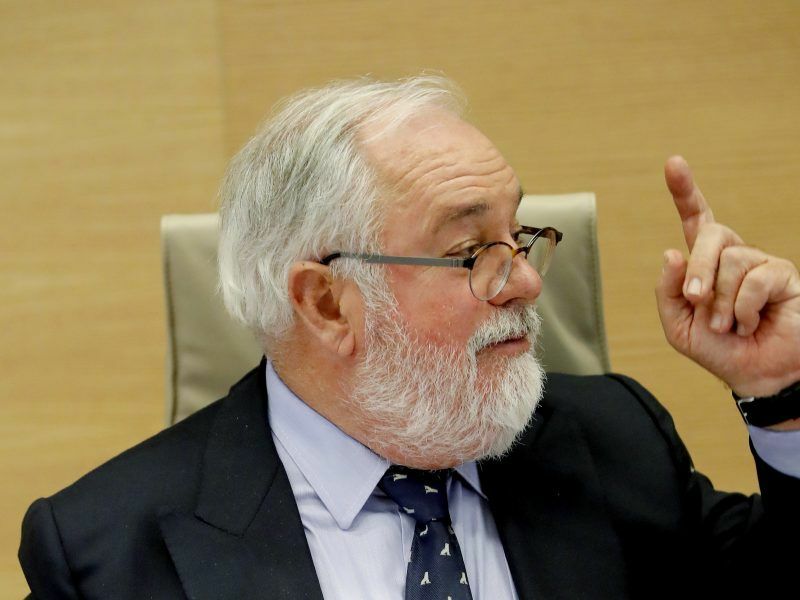 Cañete has not accepted defeat though and announced at the post-COP24 event that he intends to host a major international carbon markets conference in Brussels in the spring, much in the same vein as the now regular Ministerials on Climate Action (MoCA). “We have to build on the experience of the Kyoto Protocol and other things that didn’t work to design market mechanisms that will be sustainable,” Cañete said, adding that the idea is to invite international experts to the summit not just politicians. ‘From Katowice, we know absolutely who are the players who have problems with this issue. It’s not only Brazil. Brazil was the front page but the newspaper has many pages. There were many people behind Paris but I will not do any naming or shaming. There were a few tough customers,” he added. Cañete’s carbon market conference is not the only important milestone for climate policy this year though. As COP president, Kurtyka’s duties take him all the way up to the next edition in Chile, which has been delayed until January 2020. Before that, the Polish politician is heading to New York to prepare for a September UN summit, which Secretary-General Antonio Guterres called last May. Although Cañete’s mandate as Commissioner expires at the end of the summer, his schedule remains as busy as ever. Next month, he will start a multi-country tour of the EU in order to share the Commission’s future climate plans with national capitals. The idea is for EU leaders to reflect on the EU executive’s long-term strategy for 2050, which was published in November, during May’s Future of Europe summit in Sibiu, Romania. 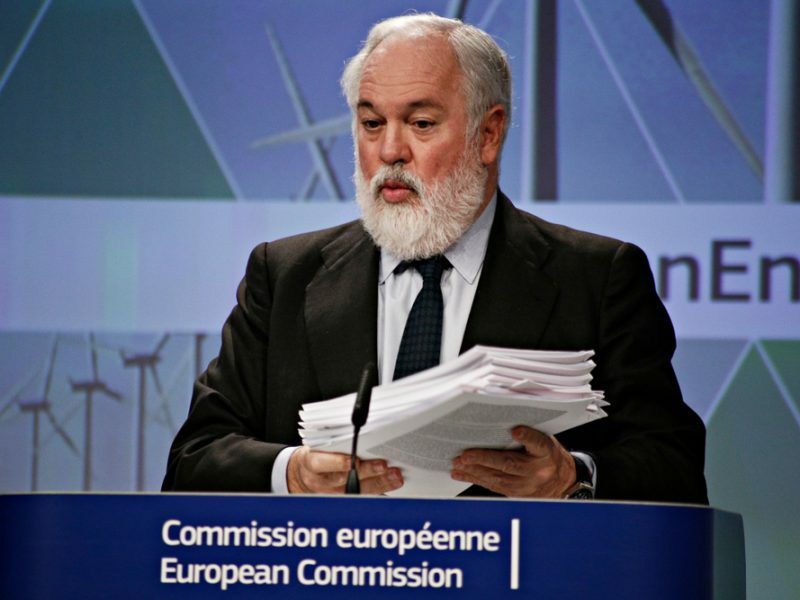 But Cañete’s tour will also be an opportunity for the Spanish Commissioner to remind member states of their obligations to submit draft energy and climate plans, as well as long-term strategies, to the Commission. At time of publishing, only 21 out of 28 nations had hit an end-of-December deadline to hand in their draft plans, which are crucial to implementing freshly-brokered 2030 energy and climate targets. During the event, the Commissioner confirmed that all the draft plans will be made available online in order to increase transparency. There is a rather charming animated film called “Up!” in which an old man in a house floats away using ballons filled with hydrogen. The COP process reminds me of this film – this time a hot air ballon called COP floats up and away with CO2 emissions since Kyoto doing exactly the same – up up & away – with zero sign of coming down. Total impact of the COP process to date (how many years now 20++?) exactly zero. 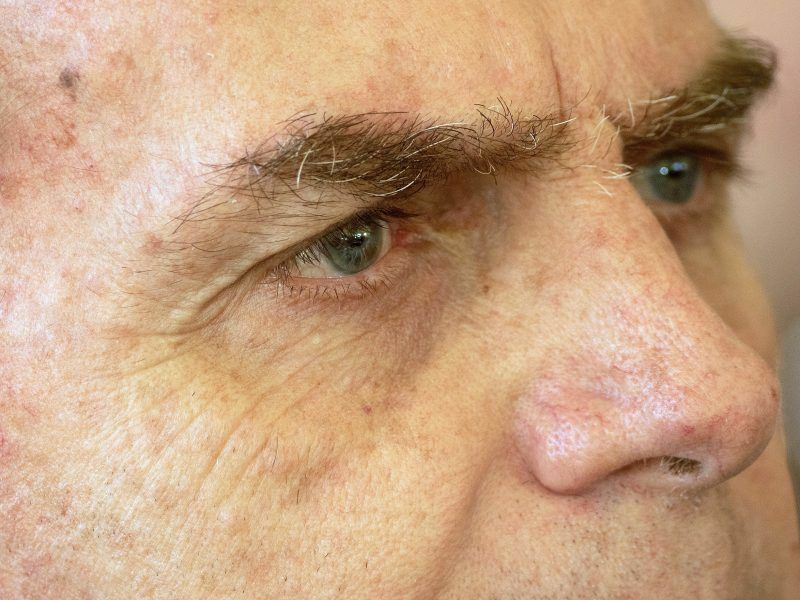 Meanwhile in Brazil Bolsonaro said that “our country’s sovereignty over the Amazon was at stake….” – bit of missing reporting here – missed out was the bit where he thought “…because if there is tight monitoring it will stop my lads wiping out those Indians that get in the way of us turning the place into something useful”. Yee ha! Ride em’ cowboy! COP is finished, somebody call in the vet & put it out of its misery.